Unlike most intelligent animals (which are generally a tad smaller than their non-intelligent counterparts), the small mammals are slightly larger than their non-intelligent counterparts. Beavers are honest and hard-working, but they also pride themselves on their cleverness and understanding. The prime requisites for a beaver are Strength and Wisdom. Beavers with Strength and Wisdom scores both 13 or greater gain a +5% bonus to earned experience points. Beavers having a Strength score of 13 or greater and a Wisdom score of 16 or greater will gain a +10% bonus. 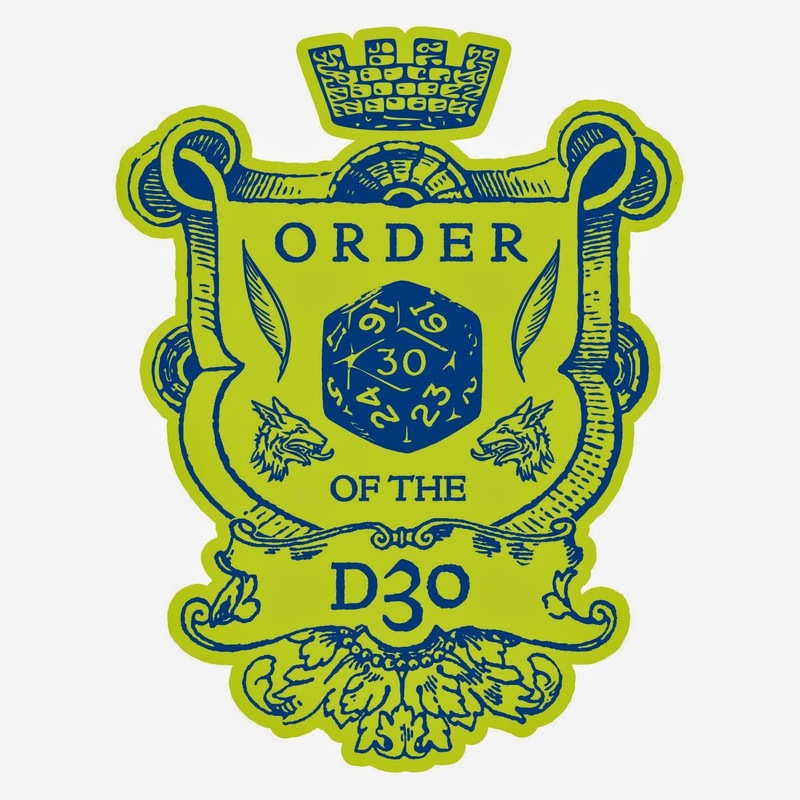 RESTRICTIONS: Beavers determine their hit points using six-sided dice (d6). They may advance to a maximum of 6th level of experience. Beavers may use any weapon of normal or small size, but may not use long bows or two-handed swords. Beavers may wear any type of armor, and may use shields. The maximum Strength score for a beaver is 17. SPECIAL ABILITIES: Beavers fight and save as a cleric of the same level, but are only permitted those magic items allowed to fighters. Their knowledge of construction and generally savvy nature regarding such things allows beavers to detect new construction one-third of the time (1-2 on 1d6). Beavers are also able to chew through wood at a rate of 1 cubic foot per round. For each 18 rounds of chewing, a beaver will need to rest for 2d4 rounds. In addition to common, beavers speak the language shared by beavers and gophers. It is not uncommon for beavers to “whistle” when they talk (due to the size of their teeth). While visually quite similar to rabbits, hares take offense when accidentally identified as rabbits, as they pride themselves on their physical “superiority” to rabbits. The ears and legs of a hare are longer than those of a rabbit, and the hare is slightly quicker as well. Finally, hares are nesters, preferring to live above ground. The prime requisite for a hare is Dexterity. Hares with Dexterity score of 13 or greater will gain a bonus to earned experience points. RESTRICTIONS: Hares determine their hit points using six-sided dice (d6). They may advance to a maximum of 6th level of experience. Hares may use any weapon of normal or small size, but may not use long bows or two-handed swords. Hares may wear any type of armor, and may use shields. The maximum Strength score for a hare is 15. SPECIAL ABILITIES: Hares are even quicker than rabbits, and have a movement of 180'(60'). Hares have only a slight predisposition to magic. While they are not able to cast spells, they are permitted magic items exclusive to magic-users (including scrolls). Hares fight and save as a elves of the same level. Despite their small size, many a mouse fighter has made a name for himself, often reaching truly legendary status. Some mice see themselves as defenders of the downtrodden, while others simply crave the life of an adventurer. Regardless of their motivations, mice make truly formidable fighters, even against opponents of a large size. The prime requisite for a mouse is Dexterity. Mice with Dexterity score of 13 or greater will gain a bonus to earned experience points. RESTRICTIONS: Mice determine their hit points using four-sided dice (d4). They may advance to a maximum of 6th level of experience. Mice may use any weapon which has been smithed at the size for a mouse. However, due to their diminutive stature, daggers wielded by a mouse do only 1d2, and all other weapons do a mere 1d4. Mice may wear any type of armor, and may use shields. The maximum Strength score for a mouse is 12. SPECIAL ABILITIES: Due to their small size, the cost of any armor or weapons of mouse size are 50% the normal cost. Mice are able to move silently as a thief 2 levels higher (e.g., a 1st level mouse moves silently as a 3rd level thief), even while wearing chain or plate armor. Finally, mice possess a “hamstring attack.” If attaching a legged creature from behind, the mouse gets a +4 “to hit” bonus and, on a successful “to hit” roll, cuts the hamstring of the creature. For each cut hamstring, the movement of a creature is permanently halved (unless the creature possesses regeneration, or is healed by magical means); for example: 1 cut reduces movement to one-half normal, 2 cuts reduces movement to one-quarter normal, and so on. Armed creatures with cut hamstrings on all of their legs will be forced to crawl. Armless creatures with cut hamstrings on all of their legs will be unable to move. Mice fight and save as a fighters of the same level. Rabbits are sociable, inherently-magical creatures who dwell in underground burrows or holes. For this reason, it is not uncommon for rabbits to be found dwelling amongst halflings. Compared to hares, rabbits have shorter hindlegs and ears. The prime requisites for a rabbit are Intelligence and Dexterity. Rabbits with Intelligence and Dexterity scores both 13 or greater gain a +5% bonus to earned experience points. Rabbits having a Dexterity score of 13 or greater and an Intelligence score of 16 or greater will gain a +10% bonus. RESTRICTIONS: Rabbits determine their hit points using four-sided dice (d4). They may advance to a maximum of 8th level of experience. Rabbits may use any weapon of normal or small size, but may not use long bows or two-handed swords. Rabbits may wear any type of armor, and may use shields. The maximum Strength score for a rabbit is 15. SPECIAL ABILITIES: Rabbits are quicker than most other intelligent animals, and have a movement of 150'(50'). Additionally, beginning at 3rd level, rabbits are able to cast spells as a magic-user 2 levels below their current level (e.g., rabbits at 3rd level are able to use spells as a 1st level magic-user, at 4th level are able to use spells as a 2nd level magic-user, and so on). Furthermore, rabbits may use any magic item permitted to magic-users. Finally, rabbits fight and save as halflings of the same level. Tomorrow... otters, skunks, squirrels, and weasels! Okay, I've already mentioned Usagi Yojimbo having a use for these. So would _Redwall_ and _The Wind in the Willows_. Well the otters are coming tomorrow. While I've limited them to 6th level, I was loosely thinking of them in terms of Redwall, and (for that reason) I am considering letting them go up to 8th level. These, should be a book at some point. I'd buy it! It's already planned. As I post them here, they get added to the working layout. I still have at least the great cats and the canines left to do for sure. Yes. Expanded Petty Gods is first. Creature Compendium is second. 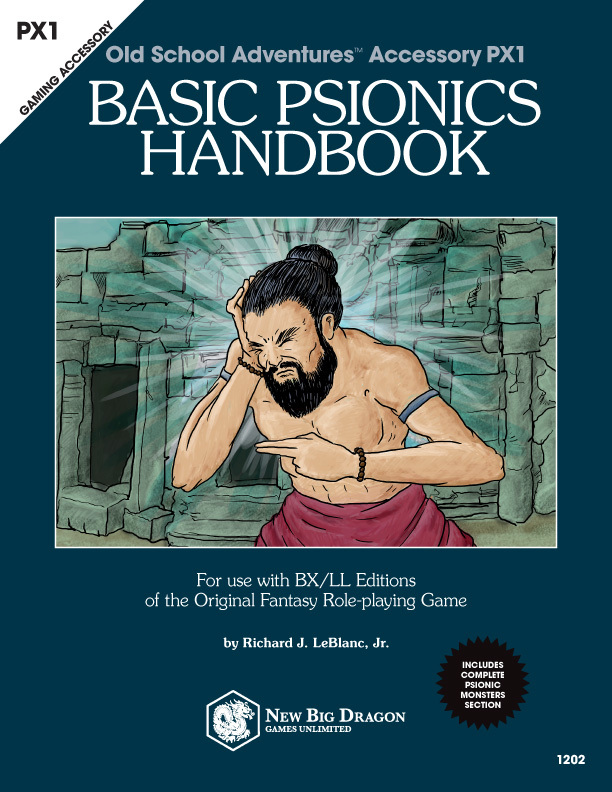 Basic Psionics Handbook is third. BX animal classes book is fourth. Awesome! I can't wait to get them all! Coming up with a Hare class was on my to-do list, so thanks for taking care of it! The text says mice may advance to level 8 but the table provides details only until level 6; thought it's worth mentioning. Anyhow, it looks interesting. Thanks for the catch. They're limited to 6th. Fixed in copy.